Thus far, all the Abbey Road songs recorded had previously been debuted during the Get Back/Let It Be sessions in January 1969. That changed on this day with the recording of a new song, Paul McCartney's You Never Give Me Your Money. The idea for a medley was already in place, and these first takes ended abruptly where the song eventually went into the "one two three four five six seven/All good children go do heaven" refrain. The Beatles recorded 36 takes, filling three reels of tape in the process, before the session ended at 4am. The backing was recorded live onto eight-track tape. 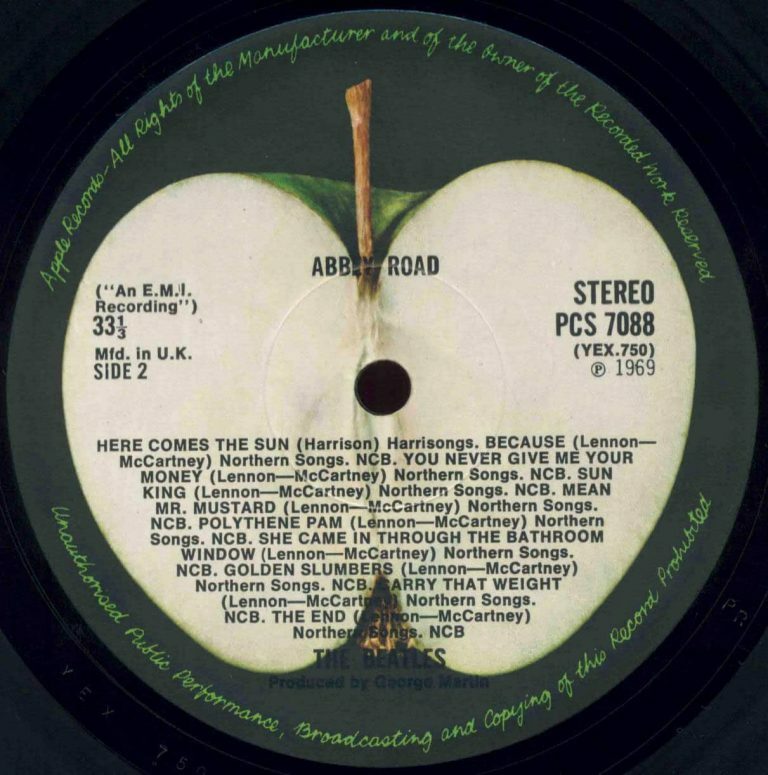 Track one featured George Harrison's guitar, fed through a Leslie speaker; track two had McCartney's piano; Ringo Starr's drums were on the third; McCartney's guide vocals were on track four; and John Lennon's rhythm guitar filled track six. Take 30 was chosen as the best, and a rough stereo mix was made at the end of the session. Recording for Abbey Road was then left until 1 July 1969 while each of The Beatles went on holiday.